It's hard not to love these wonderful bulbs for adding colour to the garden when little else is awake. The nodding white flowers have a small green marking on the inside of each tepal, are honey scented, and appear in late winter. They look particularly good planted in large drifts in grass where they will naturalise quite happily. 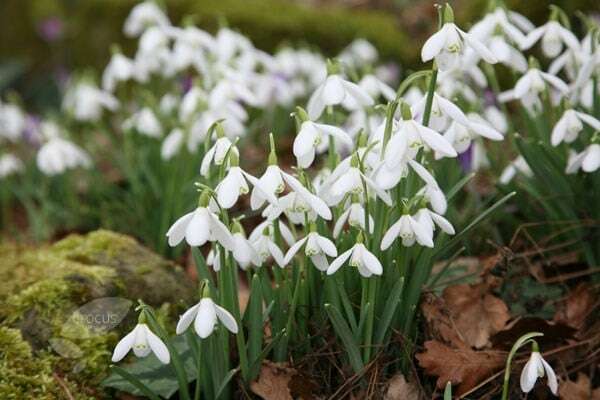 Alternatively plant them up in clumps in the front of mixed borders, or into pots so they can be admired close up. Plant the bulbs as soon as possible after delivery to prevent the bulbs drying out. Garden care: Plant bulbs as soon as possible to prevent them drying out, in naturalistic drifts 10cm (4in) deep in September or October. Where bulbs are planted in grass do not cut the grass until after the leaves have died right back. Divide large colonies after flowering while the leaves are still green for use in other moist, well-drained areas. Very pleased with the snowdrops. I'm so pleased with the bulbs I purchased. 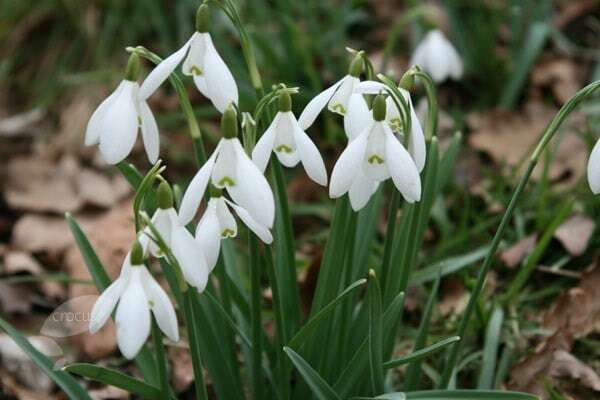 The snowdrops are already blooming. They have all come up and flowered - a very good success rate for snowdrop bulbs! Really enjoying my snowdrops from Crocus. Spring is coming! 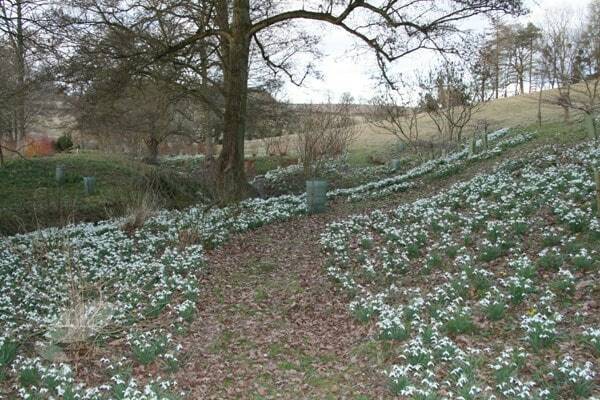 I planted snowdrops in the green in my lawn several years ago. They come every year. However, once the leaves have died back I am left with bare patches of soil for the rest of the year. It looks awful.What have I done wrong? How can I correct this? Hello there It sounds like it might be a watering issue. 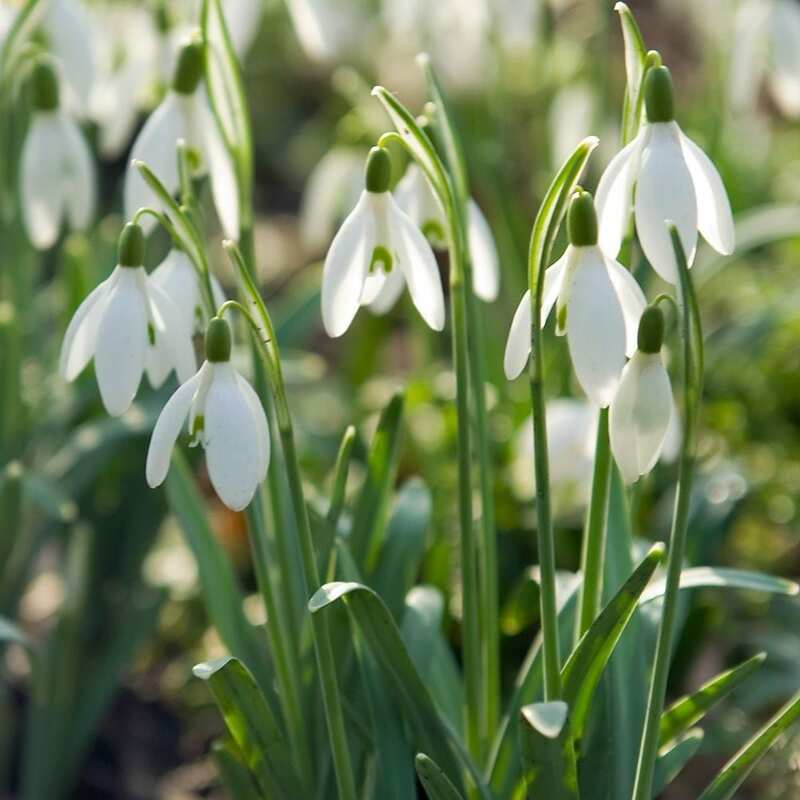 Snowdrops like a moist well-drained soil so they will be competing with the grass for any moisture. Next year in the spring after the bulbs have died back I would gently rake the soil, reseed and then keep it well watered. Hi. 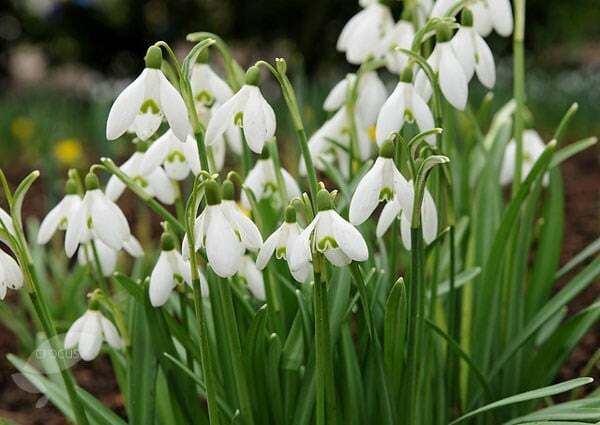 I have ordered Galanthus nivalis bulbs to make a happy showing in early winter at work. I was planning on planting the bulbs in pots and hanging baskets. I have read somewhere that from dry bulb, the snowdrops may not come until the second season. Is this correct or would it be different if grown in a pot? Many thanks.